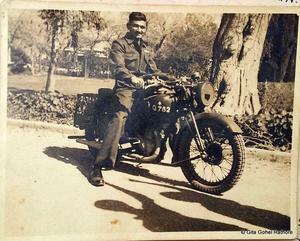 Group Captain Himmat Singh Gohel (IND/1705 ) . 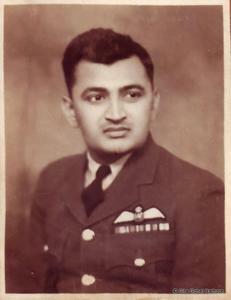 He was commissioned in the Indian Air Force during WW2 in September 1941 - part of the 8th Pilots Course. 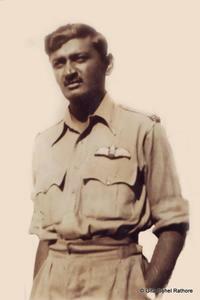 His initial training was at EFTS Jodhpur and SFTS Ambala where he got his wings. 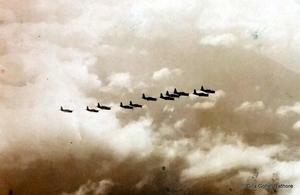 He served with No.4 Squadron (Lysanders) and No.7 Squadron (Vengeances and Hurricanes). 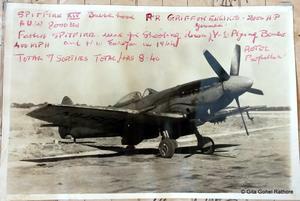 He took part in No.7 Squadron's tour of Operations both in 1944 and 1945. 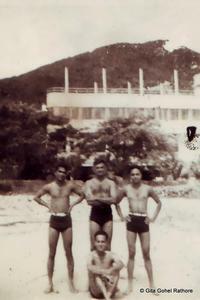 After the war, he was part of the British Commonwealth Occupation Force in Japan in 1946. 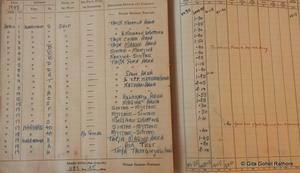 On his return he converted to the Dakotas - flying with No.12 Squadron. 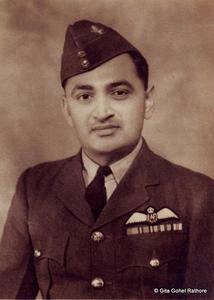 As a Wing Commander in 1949, he was called upon to take over command of India's first Bomber Squadron, No.5 Squadron at Pune flying the B-24 Liberator. (This followed the tragic death of the CO at that time J R S Dantra in a freak ground accident). The stage was thus set for the first Republic Day Flypast on 26th January 1950. 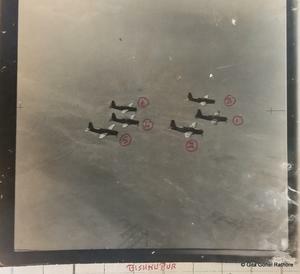 May 1941 - Elementary Flying at Jodhpur. 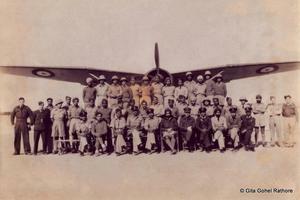 On 24th May 1941, the Course reported to No.2 Elementary Flying Training School at Jodhpur. 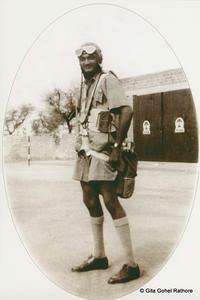 Gohel is seen here in flight gear at Jodhpur. He would have flown Tigermoths as part of his Basic Flying Training at the School. 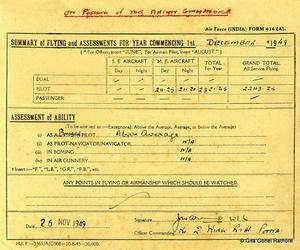 22 Dec 1941 - "Wings"
Wings at last! 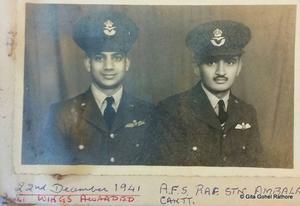 AR Pandit (Left) and Himmat Singh Gohel (Right) after the award of the pilot badge "wings" at the SFTS in Ambala. It should be noted that the Course still spent atleast another month after this doing Armament Training. 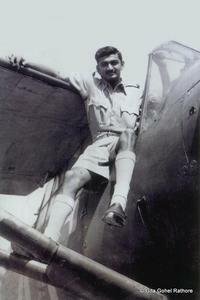 H S R Gohel with a Westland Lysander. Gohel was posted to No.4 Squadron flying the type in February 1942. 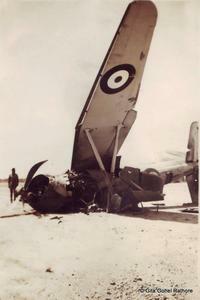 A crashed Lysander of No.4 Squadron in Sind. The undercarriage had collapsed and folded back. 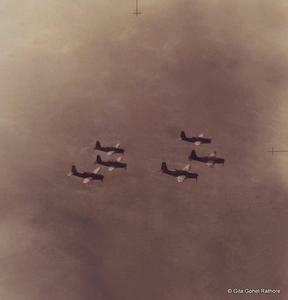 The identity of this aircraft is not known. 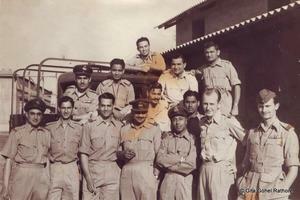 4 Squadron "Oorials" at Hyderabad - Sind. 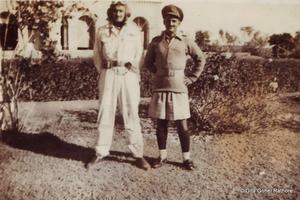 H S Gohel (Left) with Mohammad Khan Janjua (Right). 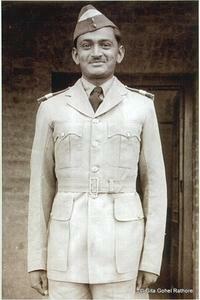 Janjua later commanded No.4 Squadron and after 1947, became the senior most Air Force Officer in the Pakistan Air Force. 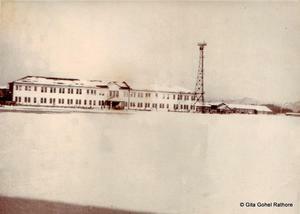 In 1943, Gohel was posted out as a Flying Instructor. 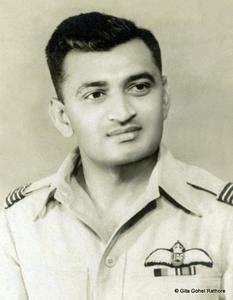 He spent time teaching flying to cadets at Ambala and Jodhpur, the same institutions that he learned flying at. 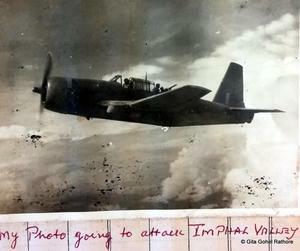 Captioned "My photo going to attack Imphal Valley" was posted in the Logbook. 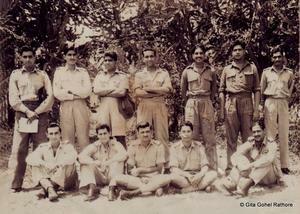 The Pilot in this Vultee Vengeance is Gohel himself, and his gunner was Sgt Baijnath. 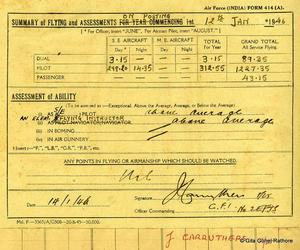 Spitfire XIV at Advanced Flying School (India). This aircraft was one of the few XIV versions at Ambala in 1946. 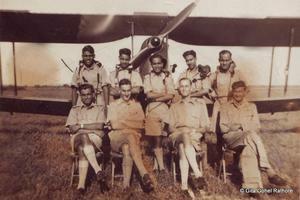 Used frequently to provide advanced training to the Indian Air Force pilots.